One summer evening recently I was approached by some tourists in the centre of Pskov to ask where they could find the nearest supermarket. I was taken aback: the Pskov Kremlin, the Trinity Cathedral, the streets of old Pskov, the fascinating ancient white- stone churches, the many period houses in varying states of disrepair - all this is in walking distance. But the supermarkets are on the outskirts. To get to them from the centre you need to take public transport. Why on earth would tourists want to go to a supermarket when they were in a city whose history stretches back a thousand years? You can buy groceries in the many small shops and kiosks in the town centre. Eating at street cafés is quite cheap and there are lots of them. What they lack is customers - most of the tables are empty. However, if you really need a supermarket, you have to get on a bus, pay 12 rubles (.38 USD), and it'll take you half an hour at the very least. Still, most of my friends do prefer to do their shopping at the supermarket because with a discount card it works out cheaper than their local shops. What's more, because the town is small (Pskov has a population of about 200,000), you can always be sure to meet friends at the supermarket who you haven't seen for a long time. Tourists do generally flock to Pskov in summer. The city is not just close to the borders of Estonia and Latvia, but also to St. Petersburg. The sociologists tell us that people from Petersburg alone make around 1,760 trips to Pskov every year. Petersburgers also love to buy houses in the villages and garden cooperatives of the Pskov Oblast. It takes about three hours by car or bus or four hours by train to get to these country houses from Petersburg. The ticket costs about 300 rubles (9.5 USD). On the other hand, young people in Pskov long to get to St Petersburg and trips to the cultural centre of Russia take up a significant part of their leisure time. Almost all my son's friends plan to find work in St Petersburg after they graduate. Many of them already study at Petersburg universities - or even better, have gone to Europe or America. None of them want to live in Pskov. Older Petersburg residents say that Pskov is much less polluted than the metropolis that is St Petersburg and claim that the way of life here is healthier. Perhaps life is not as hectic as it is in larger cities - Pskov is a quiet provincial town after all, but I wouldn't vouch for there being less pollution. It is possible that the air outside Pskov is cleaner than in St Petersburg, but in the town itself there has been a noticeable increase in the number of vehicles on the road and every day the air feels more polluted. According to the statistics, in this city of 200,000 people there are around 100,000 cars, excluding public and official transport. More and more cars have filled the streets of Pskov in recent years. Many are used foreign vehicles from neighbouring Baltic States, but Pskov residents have also been able to buy new cars with bank loans. That said, car dealers say that demand has dropped significantly because of the financial crisis. Pskov residents, like other Russians, jumped at the chance to take out bank loans. Almost every family is in debt; some took out a loan to buy appliances, some to buy cars or apartments, and some to develop their business. One couple I know had a small business - several stalls at the central market in Pskov. They sold clothes that they bought in Moscow at the famous Cherkizovsky market. They took out bank loans to make up for their lack of capital. For some time their business flourished to the point where they were going to Moscow every week to stock up on new goods. Unfortunately, several months ago things took a turn for the worse: no one was interested in buying clothes any more. As Natalya, the former owner of the business, explains: "Pskov residents have been trying to economise on non-essential items. Many people have had their salaries cut as a result of the crisis, and many others have lost their jobs outright. People are more concerned about finding cheaper groceries than buying new blouses and skirts." Natalya and her husband returned to their former professions and are very happy that they managed to find jobs in state organisations. She is a cartographer with a salary of 6,000 rubles (154.30 USD) a month, and her husband, a communications systems engineer, found a job at a television centre that pays 12,000 rubles (380.60 USD) a month. Almost a third of their family income is spent on rent and utility bills as well as on their daughter's school fees and musical tuition. The remaining family income goes entirely on groceries and household cleaning goods. For some reason, basic groceries in Pskov are cheaper than in Moscow or Petersburg. But this is no help. Natalia's family can't afford a seaside holiday and they spent what vacation money they had on a 10,000 ruble plastic window for their apartment. If they want to get out of Pskov and relax, they go to their dacha. The family's summer break at the dacha means hard work as well as relaxation, as they grow their own fruit and vegetables. According to official data, the average salary of a Pskov resident is about 15,000 rubles (475.72 USD) per month. This sounds right: my friend Svetlana who teaches at a municipal kindergarten earns 4,500 rubles (142.75 USD) a month. Another friend of mine, Natalya, is the director and owner of a furniture salon and earns 25,000 rubles (792.90 USD). Natalya's business got into trouble because of loan payments and the low purchasing power of the people of Pskov, and her firm went bankrupt. She tried to find work at the labour exchange, but sadly the only jobs available were for unskilled labourers, such as guards, caretakers, store keepers and cleaners. Her firm's debts allowed a court to take an order out against Natalya that has become a popular way of dealing with debtors - she is forbidden to leave the Russian Federation. In the Soviet period Pskov residents regularly made trips to the Baltic States. This was relatively straightforward given the town's proximity to both the Estonian and Latvian borders. There were regular buses, trains and even a boat. Collective trips with organisations and enterprises "at company expense" were very popular, as were school excursions. The charming well-tended houses, excellent roads and shops filled with masses of high-quality goods made a striking contrast to the dreary state of run-down Pskov with its empty shop shelves. Housewives brought back cheap, delicious groceries from the Baltic cities, as well as fashionable clothes, furniture, building materials and appliances. For the schoolchildren, these trips were a revelation. It is just 40 km to the Estonian border from the centre of Pskov, and slightly further to Latvia and Belarus. They are now all separate countries with different visa requirements. Now you have to get a Schengen visa at the Pskov office of the Estonian general consulate in St. Petersburg for 35 Euros, or a Latvian visa at the Latvian consulate (there is still no visa requirement for Belarus). Incidentally, many Pskov residents have "blue" Estonian passports. Estonians issued passports to some Pskov residents in the early 1990s, when there was controversy over the Pechorsky region of the Pskov Oblast, to which Estonia laid claim. At that time, residents of Pechor, their relatives and all Pskov residents with any Estonian roots or relatives on the "disputed territory", or with family members buried on the other side of the border, could easily get Estonian passports. Obviously, Pskov residents who've got these "blue" passports can still cross the border with ease: at the Russian border they show their Russian passports, and at the Estonian border, they show their "blue" passports. What's more, for many people who live in the border region, this is also a way to make a bit of money on the side. For a while, people took goods to Estonia that were expensive there, such as cigarettes and vodka. They also took petrol in their cars, which is several times more expensive in Estonia. Sometimes young Pskov residents with "blue" passports who don't want to be conscripted into the Russian army do their military service in the Estonian army instead. By law, after this service they are not required to serve in the Russian armed forces. Many of my friends did, in fact, move to Estonia and Latvia permanently, and hardly any of them have returned. They say that despite the crisis and all the hysterical articles in the Russian press about the negative attitudes of the locals towards the "Russian occupants", they prefer living there. My friend Alexander, who moved with his family to Tallinn 10 years ago, said: "In this country, the laws are made for ordinary people, but in Russia they're made for the government". Meanwhile, the fact that Pskov Oblast is on the border attracts the attention of entrepreneurs from the Baltic States. According to official data, a year ago there were 95 firms working in the Pskov region with Latvian capital, and now there are 101. There were 38 enterprises with Estonian capital, and now there are 41. The businesses most likely to attract foreign investment are the hunting and forestry industries, the processing industry, and the wholesale and retail trade. My friends Zhenya and Sergei, a married couple, have been running their own business for several years. Sergei formerly served in the armed forces as an air navigator. After flying the required number of hours, he retired at the age of 40 with the rank of reserve major. For retiring officers, a special faculty was opened at the Pskov Polytechnic Institute called "The Russian-American Higher School of Management". Here former members of the military could study management at the state's expense. Sergei received a second higher education and opened his own small business - a couple of shops selling spare parts for cars and furniture. Taking advantage of Pskov's proximity to the border, Sergei was able to build his business together with a partner in Latvia. Sergei's business is flourishing because cars in Pskov often break down. One of the reasons is the poor roads. For many years, the quality of Pskov's roads has been the subject of much debate and controversy. A year ago, the local authorities received a large amount of federal money to repair the roads. In some places, the repairs are noticeable, but on the whole, the state of the roads is so disgraceful that local residents have named them " the written-off roads". They say that the officials made off with some of the money, while some of it was "sunk" into low-quality repairs. Recently, Pskov car-owners formed a public organisation called "The Written-off Roads of Pskov". They held several protests and established a dialogue with the new Oblast government. Incidentally, for several months now the Pskov region has been run by a new, young (34 year-old) governor, Andrei Turchak, from Moscow, appointed by the Russian President in March. For the people of Pskov, a major advantage of the new governor is his connection with the federal centre, and the opportunity this provides for the region to take part in various federal programmes. This is very important, as the Pskov Oblast is a subsidised region. There are no major industries here, no raw material resources, and a completely unsuitable climate and soil for the development of agriculture. 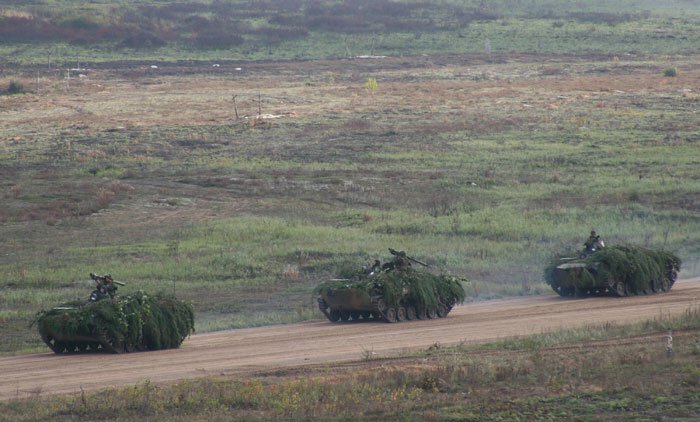 What Pskov does have is an air assault division. 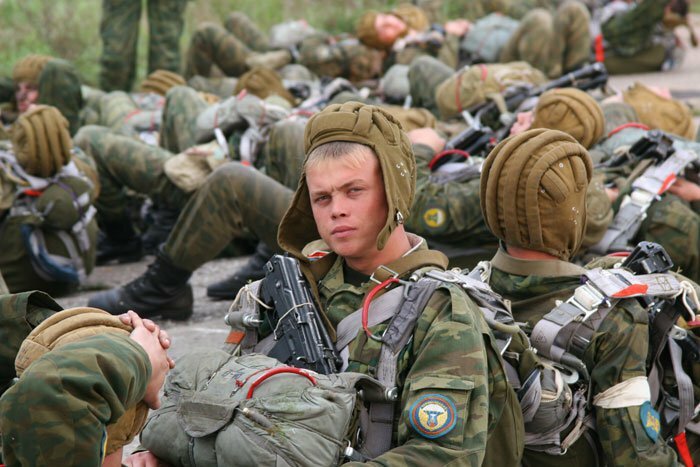 Paratroopers are seen as elite troops within the Russian armed forces. Almost every Pskov family is connected in some way with the military: in some families, the son is in the military, or husband or brother, and in some families women serve in the army too. I respect the military profession, and I am proud that Pskov paratroopers are always the first to appear in zones of armed conflicts and trouble spots. There is, however, another side to the issue. My friend Vera's husband serves on contract in the air assault division. He took part in two Chechen campaigns, and was also part of a peacekeeping mission in Yugoslavia. After these missions and a concussion he began to drink heavily. This is a disaster for the family, and for society as a whole. Recently I have noticed a striking correlation between the army and drunkenness. There are frequent reports of soldiers robbing kiosks, of contract soldiers beating up passers-by, or of recruits fleeing from their units after being beaten by their senior officers. The 2nd of August, Paratroopers' Day, is a special day in Pskov. Despite all the police security measures and the well-organised nature of the events, it is very dangerous to walk around the city at night or drive a car - the drunk paratroopers, mainly former servicemen, are the ones "running the show". Their traditional swim in the city fountain is a charming and inoffensive sight, but these former defenders of the homeland get drunk and start fights or cause car accidents... I will not write more on this subject. It would be better to talk about the good things. Vera and her husband, who is a contract soldier, are supposed to be given an apartment soon. At the moment they live with their two children in a rented apartment. The Russian Defence Ministry invested a lot of money, and there is now an entire district of multi-storey buildings for soldiers in Pskov. In September, two kindergartens will be opened for soldiers' children. The strategy of the country's leadership to "use the capital of our mothers to tackle the demographic crisis" has been very successful in Pskov: the birth rate has increased, but now there is a severe lack of kindergartens. Almost 5,000 children are on the waiting list for a place at kindergarten. Life goes on despite the crisis, despite the increase in the price of groceries and municipal services, despite the job cuts and salary cuts, despite the debt and many people's anxieties. My friend's grandmother Maria Ivanovna will soon celebrate her 95th birthday. In Pskov, she lived through the Nazi occupation, post-war destruction and famine, the Stalinist repressions, the Khrushchev thaw, the Brezhnev stagnation and Gorbachev's perestroika. Now she watches the news on television and says: "Soon Putin will increase our pensions - and we'll get by! The main thing, girls, is that we don't have a war!" If you were to ask me if I'd like to leave my native Pskov, I'd probably say yes. But still, something keeps me here. The city of Pskov, population 200 000 +, is located in the north-west of Russia, 20 kilometres from the Estonian border. One of Russia's most ancient cities, Pskov celebrated its 1100th Jubilee in 2003. By the XIV century Pskov was an independent republic. In 1510 the city fell to Muscovy. The city suffered dramatic losses during the World War II. In the Soviet times it became a leading industrial centre of the region, particularly in the field of electrical engineering. After the collapse of the USSR Pskov Region attracted the interest of foreign business, because of its proximity to the borders of Belarus, Latvia, and Estonia. Pskov is also a seat of Russia's legendary 76th Guards Airborne Division of paratroopers. Because of its wealth of cultural and architectural monuments the city is a magnet for tourists from Russia and abroad.